There was two parks or better said one park cut by a main street. Those two parts of the same park had a different urban treatment, the big one was open and friendly with citizens but the small one was dark with hidden sites. Citizens felt the place as unfriendly. Two measures were taken, with each one a sculpture was created. 1st, La Rosa sculpture was placed in the small park, this sculpture is transparent, open and invites to approach. Several remodeling issues were taken on gardens in order to open spaces. 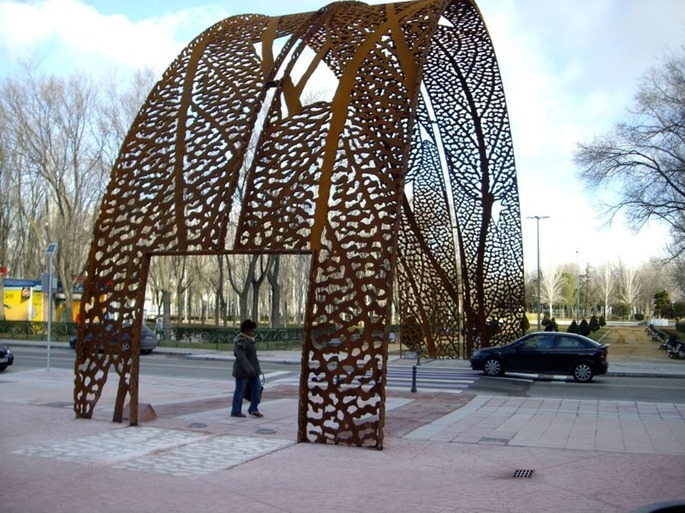 2nd, Arco "Arch" was created to linking two parks. A huge arch made with leaves collected from the same place joint both sides creating a whole.